It’s finally spring and time to go boating and enjoy Table Rock Lake, near Branson, Missouri. Members of the Branson Boat Club have unlimited use of a fleet of boats for your family boating pleasure. Choose from ski and deck boats or family and dog friendly pontoons for a variety of water sports. 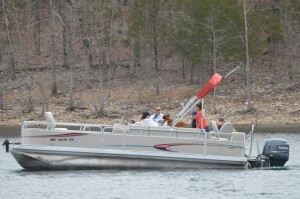 Branson Boat Club family with their dog out for a Spring Cruise.